Dark Chocolate Cherry Fudge has deep rich chocolately flavors. The dried cherries add an extra dimension of texture. This is a great choice for parties and entertaining. STIR in marshmallows, morsels, dried cherries and vanilla extract. Stir vigorously for 1 minute or until marshmallows are melted. Pour into prepared baking pan. Refrigerate for 2 hours or until firm. Lift from pan; remove foil. Cut into 48 pieces. 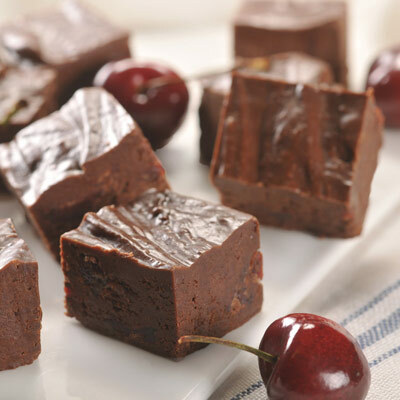 VARIATION: For an equally delicious fudge, try substituting 3/4 cup dried berry blend for the cherries.